If you are a keen wine enthusiast or expert battling with little storage space for your wine collection then do not fear, Wineware are here to help you! We know how tricky it can be to store wine when you are limited to such problems as space. Stacking cardboard boxes full of wine in tiny corners is not ideal nor practical or suitable for wine. Therefore we have found some of the best wine racks for small spaces, ideal for that narrow space in your kitchen or the tucked away area in a trendy bar or restaurant. 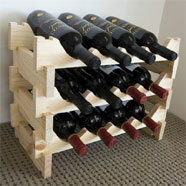 The 12 bottle and 18 bottle Vinrack wine racks are available in either a natural pine or dark stain finish. 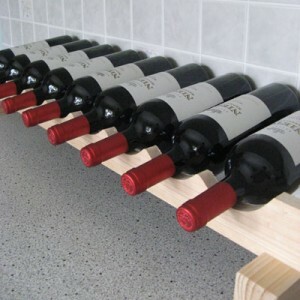 These wine racks are suitable for placing upon a counter or worktop or placed on the ground/floor space. They are extremely easy to assemble and within a few minutes you can have your wine collection stored neatly and securely. You can even group it by specific grape variety if you like! These wine racks are suited for standard wine bottles (0.75l) however the uppermost layer can also accommodate Champagne and Burgundy shaped bottles. If you are unsure on whether the wine rack will fit in your space (kitchen, dining room, bar etc.) then contact us or see our wine storage guides. We can advise you on the best possible wine rack option. We stock a good range of different sized wine racks. Good things come in small packages and this is definitely true with these wine racks. Terracotta wine racks are perfect for holding a selection of red/white wine bottles. 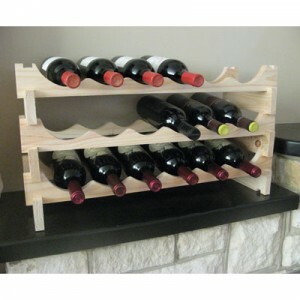 This wine rack is extremely fitting for any wine lover and holds up to 5 bottles of standard wine (0.75l). The hexagonal design is ideal for small spaces such as a kitchen worktop, dining room table or bar space. If your wine collection increases you simply purchase more hexagonal pieces. The flexible wine storage system is popular with many customers. You need not worry about your expanding wine collection anymore but just make sure you remember to order another part to your wine rack! 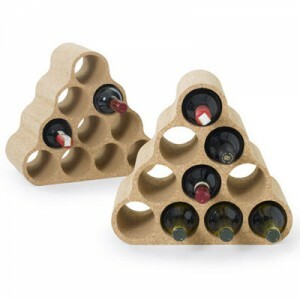 This is a great gift for any wine lover or enthusiast and offers a minimalistic wine holder design. The natural properties of terracotta maintain a wines temperature keeping it cool for longer. The compact design is also perfect for a worktop or restaurant display. 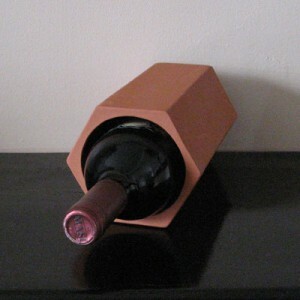 Stylish and practical, the terracotta wine rack is a must have for that special bottle of wine you are saving. 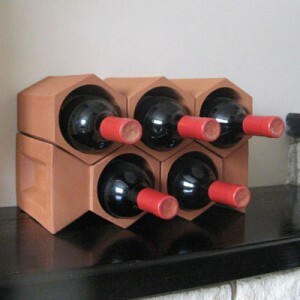 We also stock larger terracotta wine rack designs if required. This 8 bottle wine holder is perfect for under the stairs, in the hallway, in the kitchen, on a worktop or hidden out of sight! It is available in natural pine or dark stain. This wine rack is ideal for showing off your wine collection. The long and stretched out design allows your bottles to be viewed easily and it holds up to 9 standard wine bottles (0.75l)! The Modularack 9 bottle wide rack is ideal for any kitchen, bar or restaurant. What a corker! This fantastic 100% sustainable Portuguese cork wine rack looks great in any kitchen or room. It holds up to 10 bottles of wine (within easy reach). Size really is everything with wine racks and we want to continue to accommodate your wine bottle collection no matter how big or small! 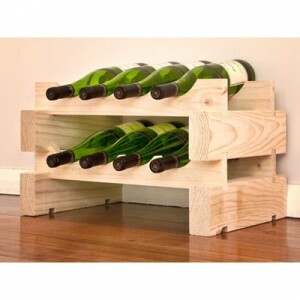 If you would like to discuss small wine racks with us then we would be more than happy to hear from you. Call us on 01903 786148 or fill in our online enquiry form.